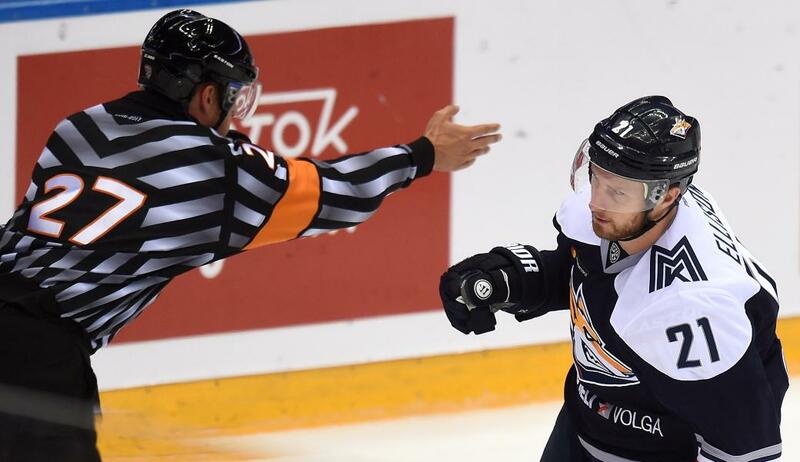 Metallurg Magnitogorsk's Canadian forward, Matt Ellison, spoke to KHL.ru about his tenth season in the KHL, his chances of playing for Canada at the Olympics, and the glory days at HC MVD under Oleg Znarok. 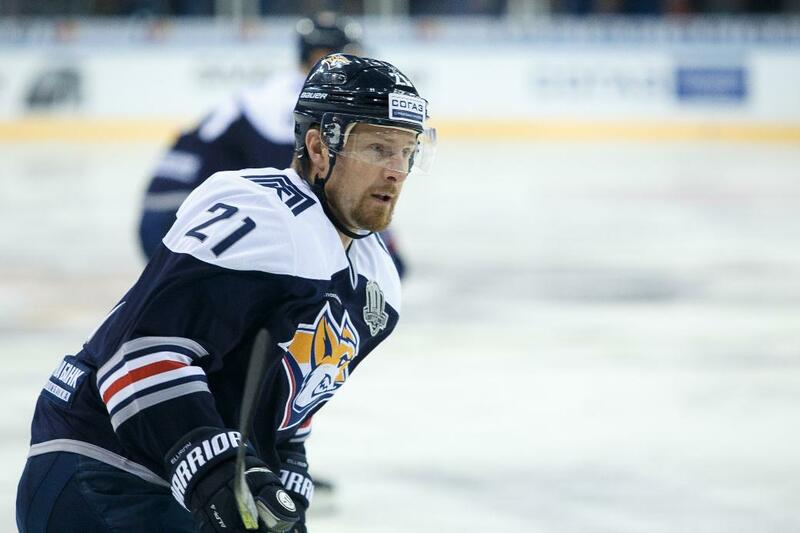 - Could you please tell us about your decision last summer to join Metallurg? - It is my tenth season in the league, this team was in the final three times in the last four years, and won it twice. It is a chance to win again; a chance to have a long run in the playoffs. - Some say it is your first time playing for a contender-team, but you have reached the final before. - At MVD we were not really considered contenders, but yes, we had a great season. Obviously, this is the first time that I've been at a team that expects to win the title. We had a tough start, but lately we've improved. - The roster saw some changes. - Chris Lee, Alexei Bereglazov and Wojtek Wolski have come back, and although the team misses Danis Zaripov and Viktor Antipin, we've got Chibisov, Kokarev, Pivtsakin... These guys have helped a lot and given the team some depth, so we're starting to play better. - Did you have any problems adjusting to Magnitogorsk? 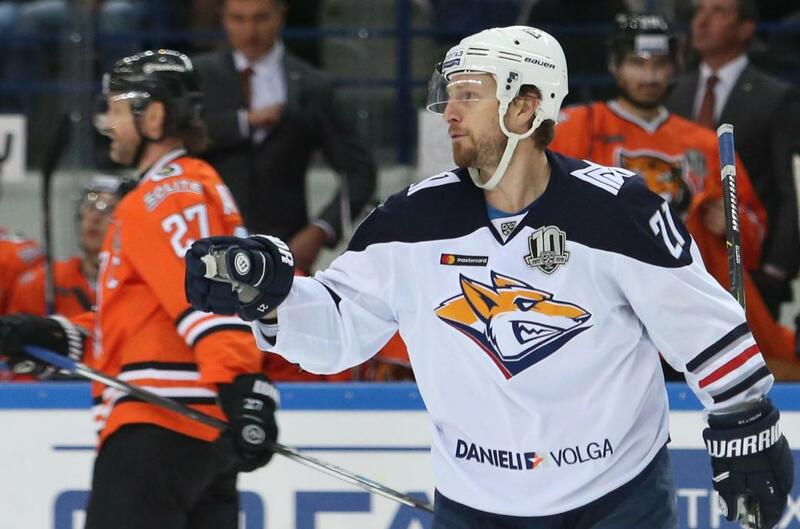 - It’s a little bit different from Minsk, but the guys are great and the organization is great. It has been pretty easy, and I like the city. We spend a lot of time at the arena, which is a great facility. There are some good restaurants, the apartments are fine, so it's all good. - That's unusual. Many North Americans have some problems in adjusting to a new city when the team doesn’t have any Canadians or Americans. - I already knew of Magnitogorsk, and I don’t think that it’s hard. When you first come over from North America, it’s difficult, but if you stay and play here for 5 or 6 years, then it’s easy to adjust to any place. In my very first couple of years it was kind of hard to adapt. - Are you used to the Russian way of life? - Belarus is kind of similar to Russia. It’s different to North Americe. - What about the Russian language? - I tried for four years, but I can’t figure out how to speak. I can understand simple phrases and terms, but language is a little bit difficult for me. - Yes, still! English was difficult for me at school, Oskar Osala speaks good Russian, simple Russian, so I try to listen to him. - How do you communicate on the ice with your Russian line-mates? - I’m with Denis Kokarev and Andrei Chibisov, neither of whom speak good English, but somehow we communicate. It still works out well. 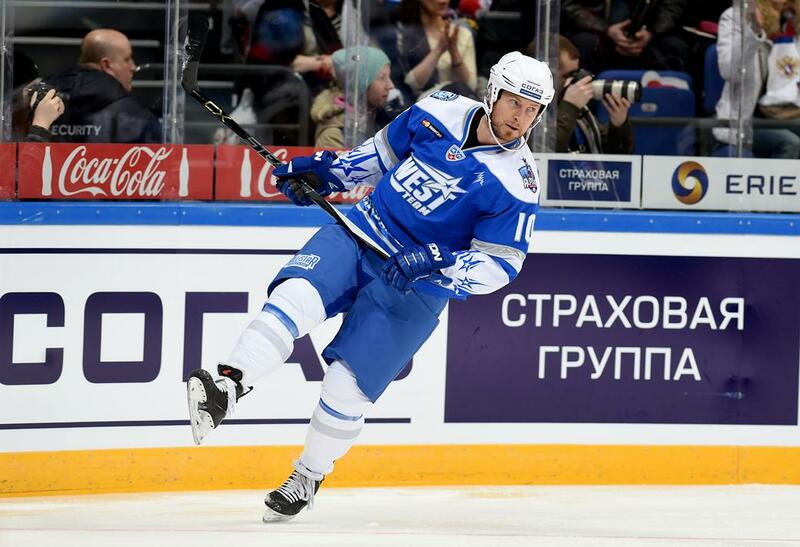 - During your time in the KHL, have you given much thought to returning home? - No. Maybe seven years ago I thought about it, but now I’m getting older and someone of my age doesn’t have a chance anymore. They’re seeking younger guys. Look at Chris Lee - he had an amazing season, he still skates well, and he's very smart, but it seems the NHL thinks even 25-year-olds are too old. I like the hockey in the KHL, so I will play a couple more years here and then we’ll see. I still have a year left on my contract, so I’ll see how it goes. When my contract is up I’ll make a decision - maybe I will hang up my skates. I will have played 11 years here, and the children are growing up. - Are you always apart from your family? - They came over in November, but after New Year they go back to Canada. For the most part, I’m here on my own, like the other imports in our team. - Were there not any plans to bring them? - If I had come to Magnitogorsk four years ago, I’d have brought them here, but now my daughter is in school, is getting into the routine, and it is more important for her to start making friends than to travel around the world. My family was with me in Minsk, Zagreb, and Nizhny Novgorod, so this is my first season since my days at HC MVD that I've been here by myself. - HC MVD was a great team. What made it special? - We played well as a team, and we didn’t have any superstars. We had a low budget, and we were low-scoring, so we had to play smart, Garnett played very well in goal. - What about the coaches? - Oleg Znarok won three championships afterwards! The club had a fantastic coaching staff. They knew what to do, and the players respected them. I only played under Znarok for one year, and if you played well, then fine, you carried on, but if you played badly you were sure to hear about it. - What about your nickname? - Pushkin? Znarok started it at HC MVD, because my hair is the same as Pushkin's, plus I also have the beard. He is a great man, so I'm happy with it. It's rare now for people to call me it, but if somebody does shout “Pushkin,” then I still turn my head. I’ve never read his work, though. - Yesterday, one your records in the KHL was broken. In 2009, you and Alexei Ugarov scored two goals a mere 55 seconds into the game. Admiral and Dinamo Riga scored two goals in 48 seconds. - Those are fast goals. Sometimes it happens. Look at Lokomotiv in Ufa, scoring after just 5 seconds! - Could any goal could be faster than that? - You spent three years in Niznhy Novgorod with Torpedo. - I read Bernd Bruckler’s book, as he gave a copy to all the guys with whom he played. It was a good set-up, with a lot of North Americans, but the last two years were a little disappointing. I wasn’t enjoying it anymore so I ended up in Switzerland. - Did the move to Medvescak Zagreb help you? - Yes! That was a lot of fun; it was a good year. Mark French was a coach, and there were a lot of good guys there. That year I spent in Zagreb helped me to like hockey again. I didn't have my best stats, but the way we played and the guys in the team were great. - And many of you ended up at Dinamo Minsk. - Me, Jonathan Cheechoo, Ryan Vesce, Charles Linglet, Ivan Svarny... it made easy to settle in new surroundings with a lot of friends. Minsk is a fascinating city and Belarus is a wonderful country. Those three years in Minsk were really good, and we picked up a lot of points. But I'm not getting any younger, and I don't know how long I have left in the game, so when I got the offer from Magnitogorsk, I took it, because I want to win the Championship. - Were you offered citizenship? - There was some talk, but no official offer. Even if there had been, I would have refused it. - Was your role at Magnitogorsk to replace Wojtek Wolski? - Things changed during the season. I was lucky to play alongside him at the Karjala Cup and the Channel One Cup. After the trade we were in team Canada, and it was pretty exciting news for us. Our team is now stronger, better... He’s a great player, and having him back will help us. - Do you think you will play in the Olympics? - I have no idea. I would love such an opportunity; it would be a great honor. But nothing has been decided yet. - What did Team Canada take from the Channel One Cup? - The first game against South Korea was a good one, with a lot of shots on goal. They scored with their chances. Matt Dalton played really well. It was one of those games where you didn’t know what to expect at all. The Czech team was really strong. It was a good contest for the first two periods, with good hockey, but then in the third we allowed two empty-netters. It was a really close game. And the game against Russia was amazing. A high-intensity match in a sold-out arena. All of us in the team felt it was our best game. We played hard, physical, and we stuck to our system. Both teams played really well. We just need to find a way to score more goals. 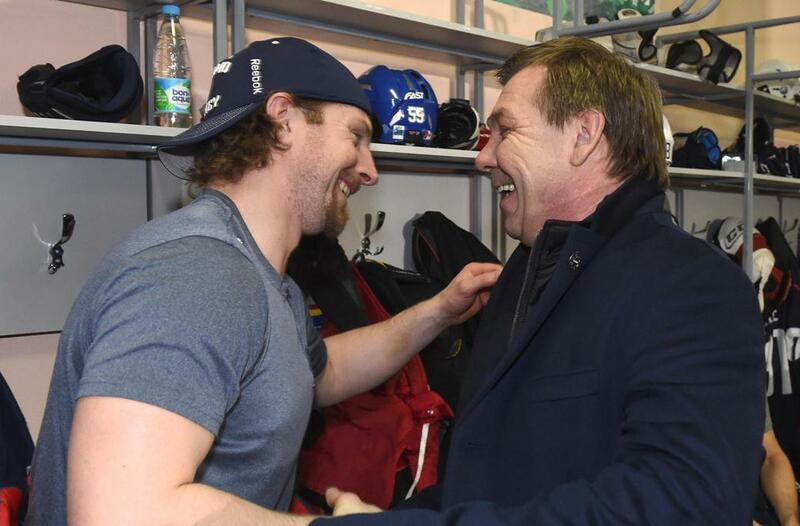 - And your team helped Koshechkin become Russia's number one goalie before the Olympics. - Maybe, yes. He played really well against Sweden and then played just as well against us. He’s a big goalie, and it's hard to see a way past him. It's great having him tending our goal. Vasya has played really well for his club and he carried that good form into games for the Russian national team. I hope I'll be a part of Team Canada at the Olympics and get a little revenge for that defeat. Honors: Gagarin Cup finalist (2010), KHL All-Star Game (2016, 2017), Spengler Cup winner (2016).